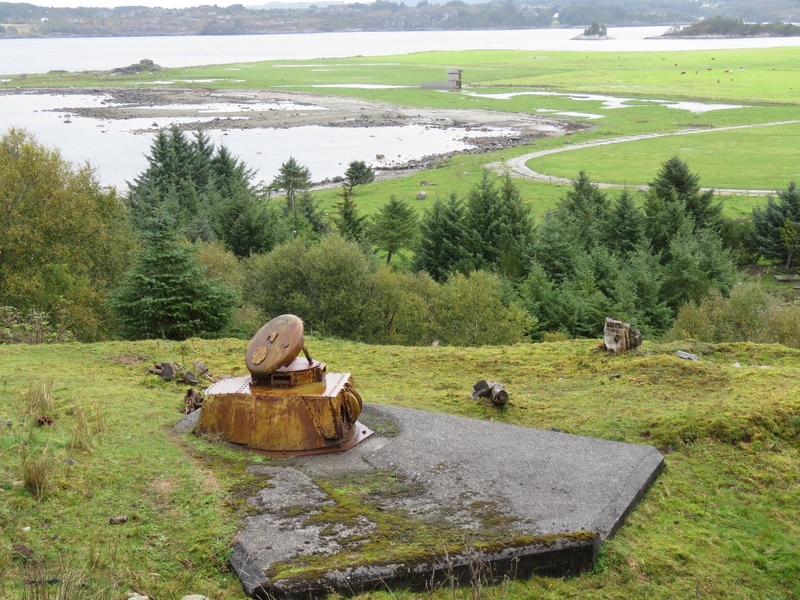 Herdla, a small island north of Bergen, is full of military ruins. During World War II, the occupying German forces turned most of the island into a military base and built an air strip and torpedo battery there. 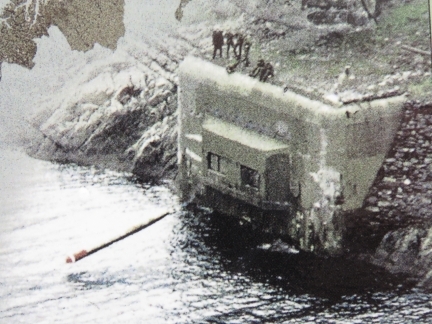 Norway kept the torpedo battery in operation during the Cold War, modernizing it several times until it was ultimately closed down in 2006. 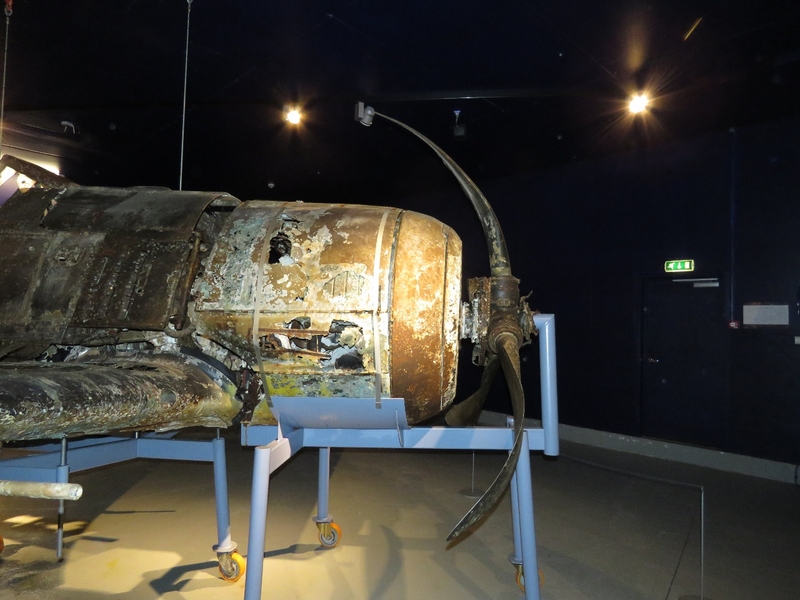 That same year, a German Yellow-16 that sank after taking off from Herdla in 1943 was salvaged and eventually put on display at the Herdla Museum. 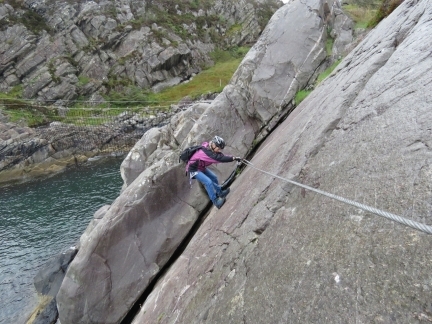 And more recently, a Via Ferrata course was built on the island. 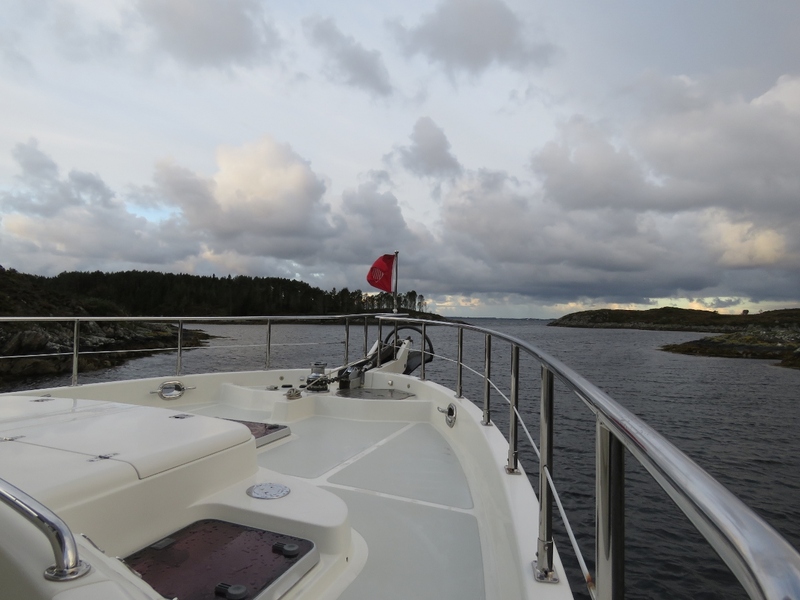 Exiting the narrow channel that leads from the anchorage at Uttoskavagen. 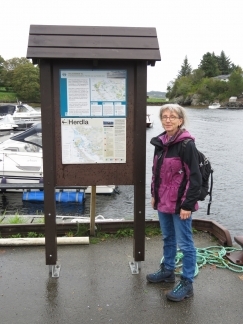 Blog reader and Bergen native Trond Saetre, who has been boating in this area since he was born, recommended the nearly land-locked anchorage and we really enjoyed it. We love getting advice from locals. Refuelling the tender. 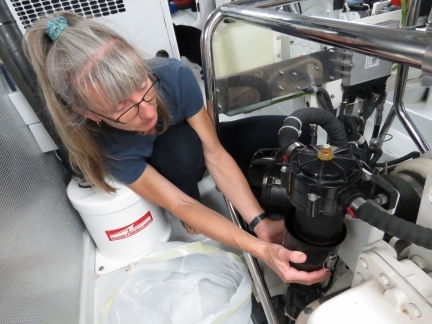 The new Maretron TLM150 fuel gauge readings was confirmed to be quite accurate as we filled the tank—we’re quite happy with the Maretron system on the tender. The weather has been all over the place today. 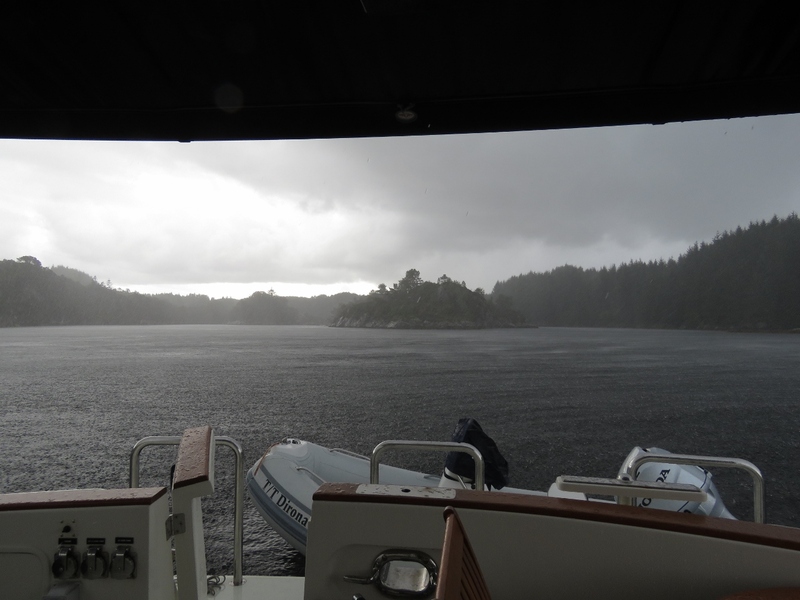 It was sunny earlier, but this is the third squall today and even has hail. Kayakers passing through our anchorage at Skurtveit. We quite like the spot here—we’ve got good protection from the forecast westerly and southerly winds and a great view to the ship channel north. Tomorrow we plan to run the tender over to Herdla to visit the museum there and perhaps do the Via Ferrata. 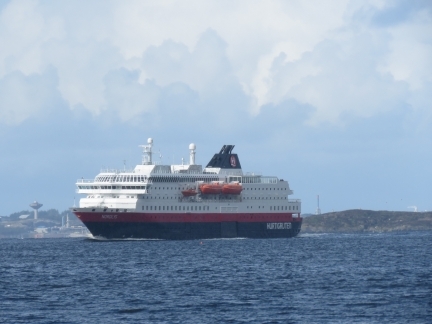 The Hurtigruten Nordlys heading south to Bergen, viewed from our anchorage at Skurtveit. 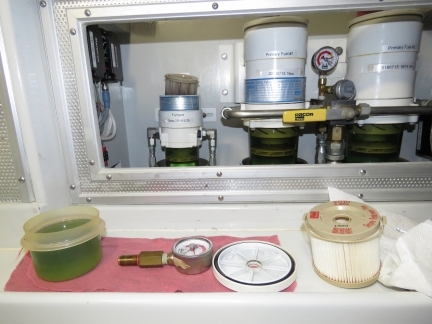 We change the Racor CCV filter every 1,000 hours and it’s again due. This purpose of filter is to take the airborne oil out of the engine blow-by as it’s sent through the turbo intake and back into the engine to be burnt. This filter helps keep the turbo and after-cooler from becoming gummed up with oil. If it’s not changed fairly frequently, it can cause excess crankcase pressure and oil leaks. 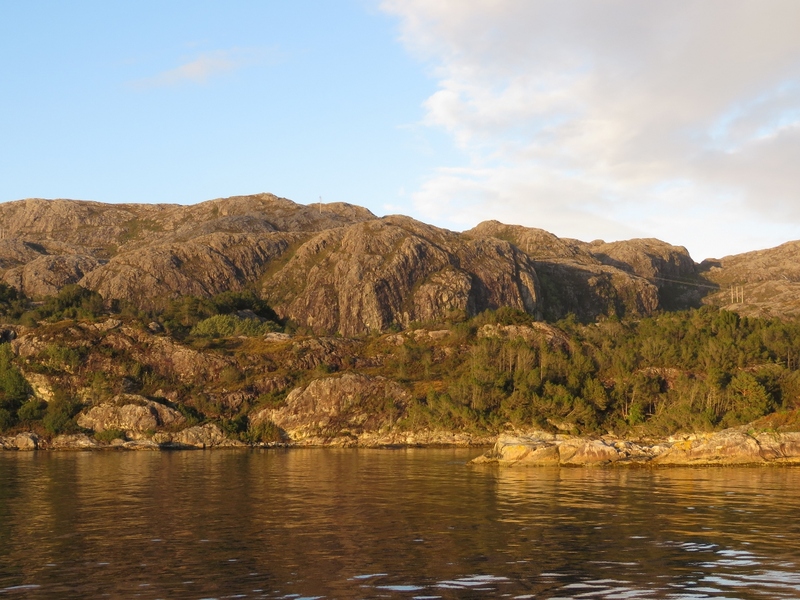 The evening sun lighting up the hills to the east of our anchorage at Skurtveit. 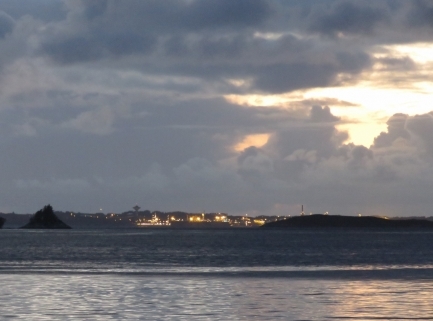 The lights of the Equinor (formerly Statoil) Sture terminal visible to our north. The facility is a major crude oil tanker port, handling roughly 120 ships a year. Sunset from the anchorage at Skurtveit. 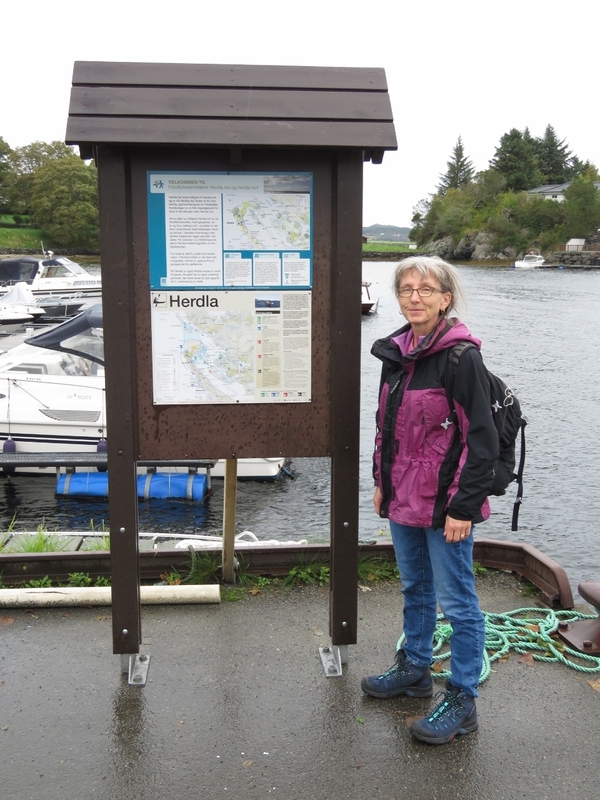 Ashore at the island of Herdla just west of our anchorage. Lavuus are temporary dwellings the Sami indigenous people of Scandinavia used to follow their reindeer herds. 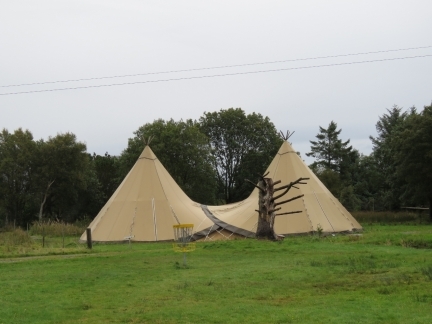 They are similar in design to American Indian teepees, but are lower and more wind-resistant. 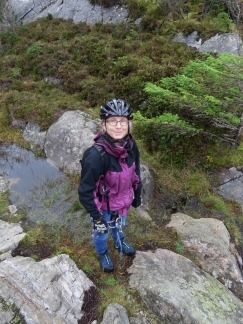 We seem them everywhere in Norway. During World War II, the occupying German forces turned most of Herdla into a military base and built an air strip on the plain in the background. The island is full of military ruins. 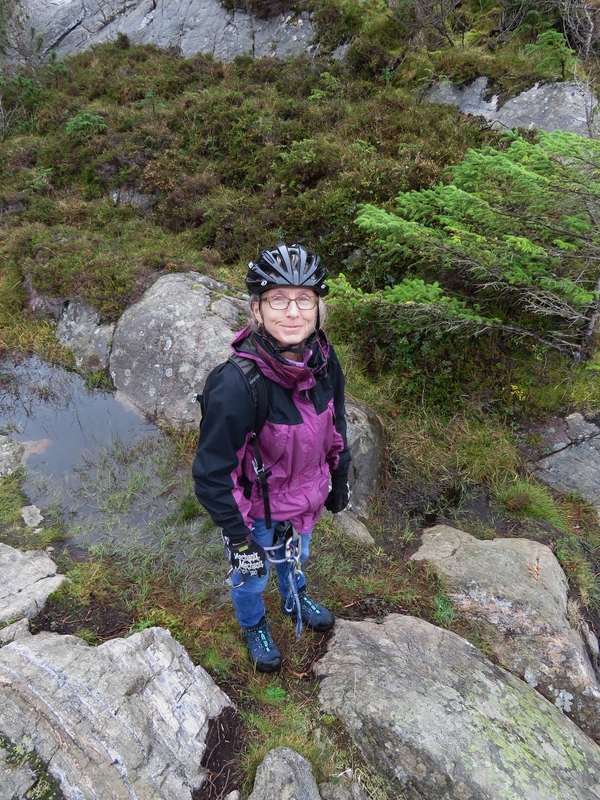 Geared up and ready to tackle the Herdla via ferrata. 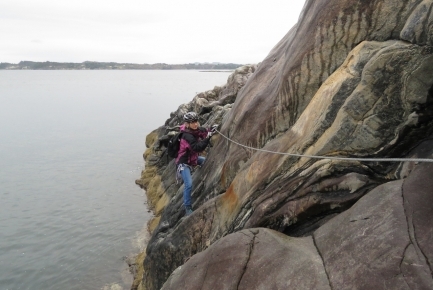 The via ferrata on Herdla is mostly stays near sea level compared to the one at Leon that climbs up 1,011ft. 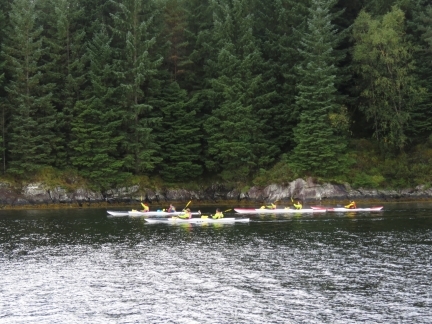 The first half runs along the shore, just above the waterline. The cargo net water crossing was what had attracted us to the Herdla via ferrata. 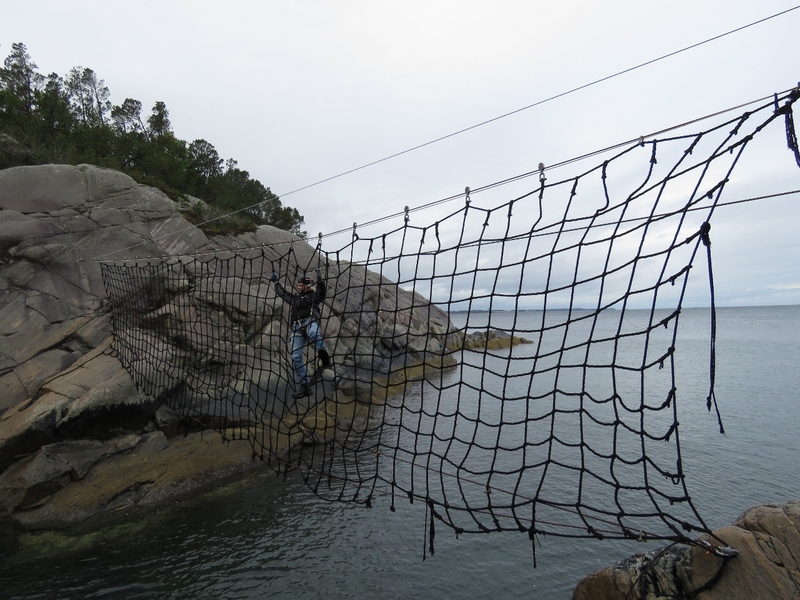 It was fun to cross, but crossing even short distances on cargo net is surprisingly tiring. Using foot friction to work across a face without footholds, with the cargo net crossing visible in the background. The final section on the seashore portion of the via ferrata before we ascend inland. 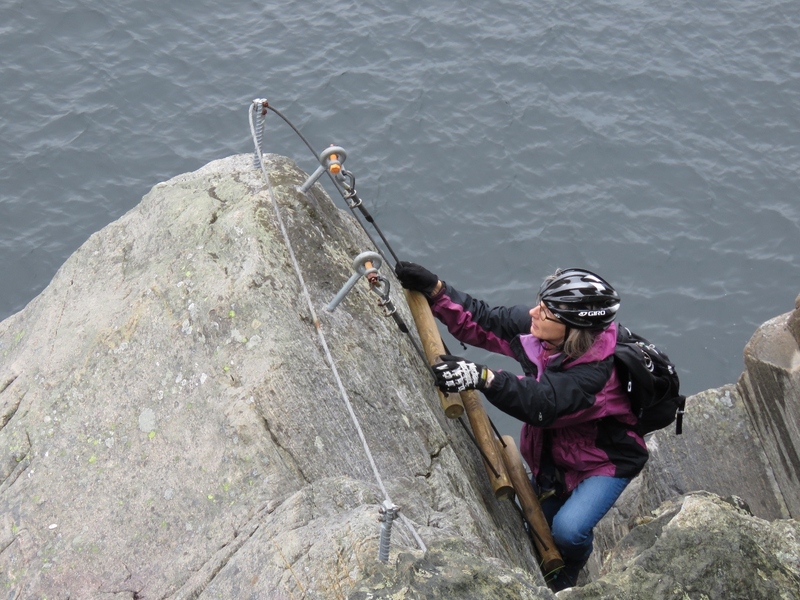 Climbing a ladder up from the cliff. 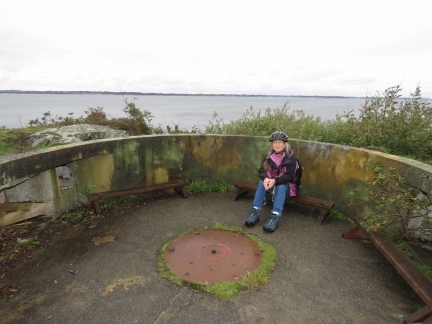 A short trail brought us to this old gun mount. The second half of the via ferrata continues from here over three zip lines and two bridges. But we lack the gear for zip lines and the final platform is kept locked for safety reasons. Looking west to the Fort Herdla ruins from the gun mount. 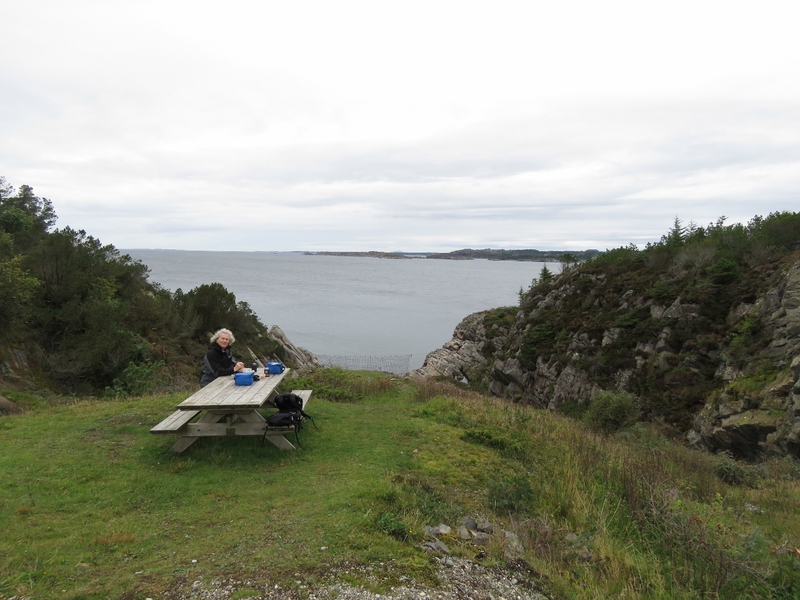 A picnic lunch overlooking the cargo net crossing. 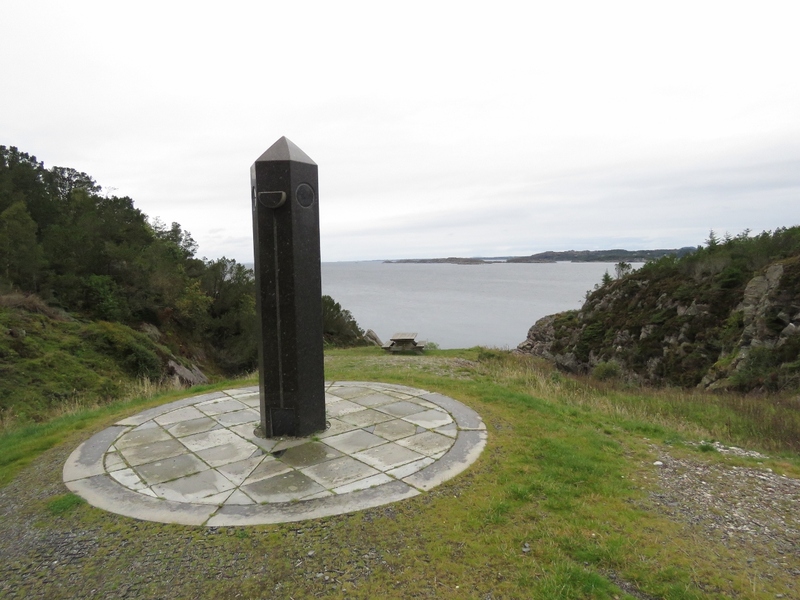 Memorial to the 560 emigrants on board the Dutch cargo ship De Zee Ploeg that was blown onto the Norwegian coast near Herdla during a storm en route to America in 1817. 20-30 people on board died due to the storm and lack of medicine, but most eventually reached American on other ships. A Volkswagen Type 181 at the Herdla Museum. 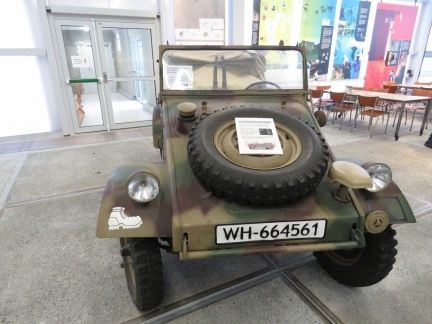 The two-wheel drive, four-door, convertible vehicle was developed for the West German Army but sold later to the public under a variety of names, including the “Thing” in the US. The main display at the Herdla Museum is Yellow-16. 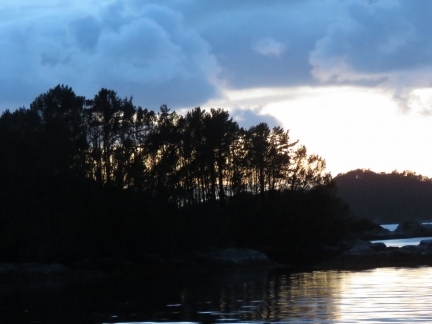 The German plane took off from Herdla in 1943 and the pilot had to make a controlled water landing due to engine failure. Local fisherman rescued the pilot. 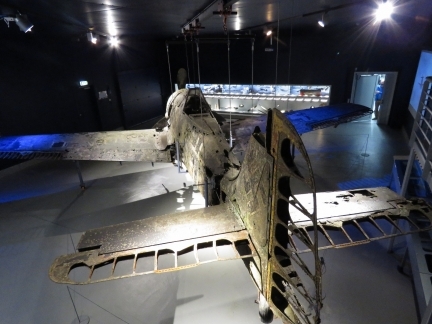 In 2006 the plane was raised from 60m of water and was eventually put on display. 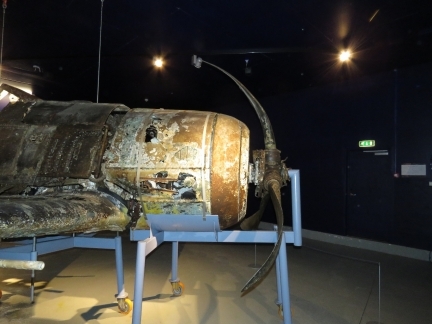 The propellers on Yellow-16 bent from the impact of the water landing. 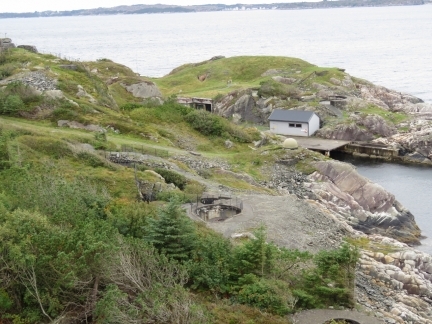 Fort Herdla included a torpedo battery along the northwest shore where torpedoes were launched by compressed air and landed in the sea to continue on to their target. This photo shows a launch with several people standing above. Norway kept the torpedo battery in operation during the Cold War, modernizing it several times. The battery was put on standby in 2000 and closed down in 2006. 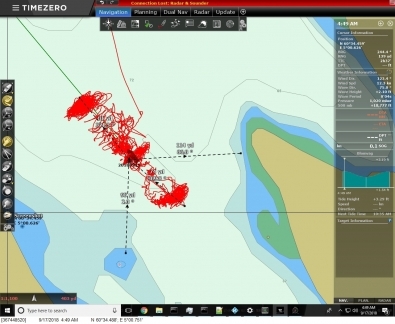 Our older charts show the a “no-anchoring” zone around the entire area that is absent on the newer charts. That would have been for the battery that now is no longer in operation. We were planning to take a tour of the still-intact battery this afternoon, but the tour guide couldn’t make it to work that day. James is changing the furnace fuel filter. It’s a RACOR 500 and we change it once a year. The fuel is still green from the three fills we did in Ireland. We have filled up twice since then but the bright green tinge remains. You can just see the old filter lifted up in the top of the filter housing to drain. It’s quite clean which is nice to see. Once a year we drain off the fuel in the bottom of the transfer filter. All fuel that goes to any engine on Dirona first has to pass through this filter so, if there is any water, it’ll get caught in this large RACOR FBO-10. We have captured tiny amount of water in the past but haven’t seen any for years. 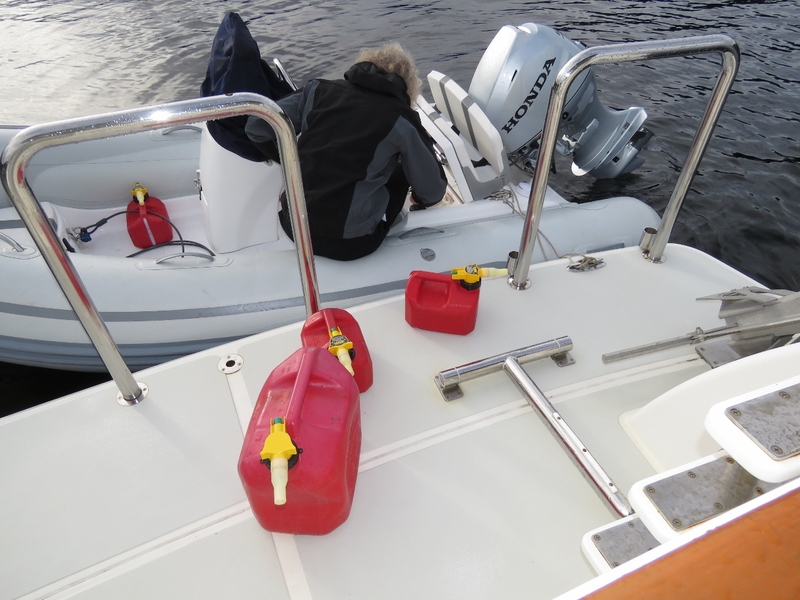 You can see the fuel still has a green tinge remaining from the fuel we took on in Ireland. There is no water in the bottom but there is what looks to be rust flakes. On closer examination, the flakes are soft and tar-like. It appears we have some minor amounts of asphaltenes falling out of the fuel and getting captured by this filter. This is normal and, after 10 to 15 years, it’s probably a good ideas to open up the tanks and clean them out. Not a job I’m looking forward to. 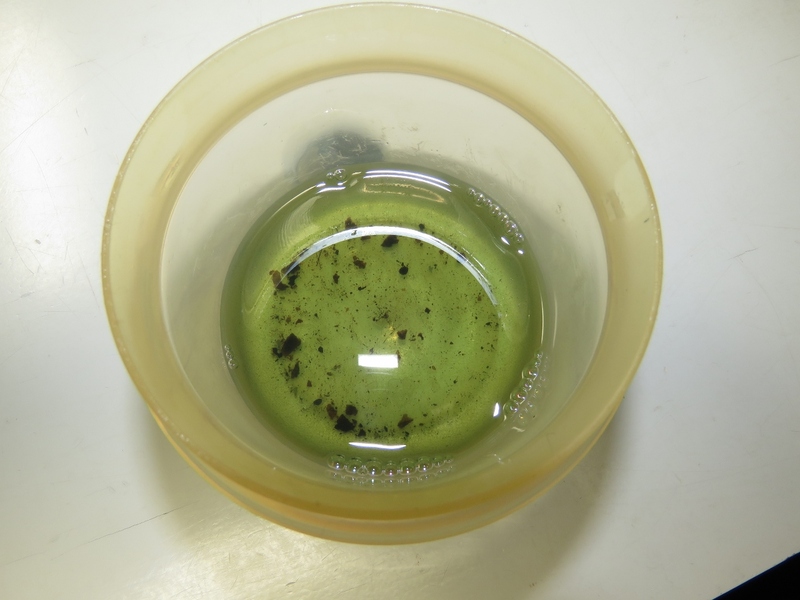 We’ll continue to keep an eye on it and take action if we start to see more evidence of asphaltene build up, usually seen as black fuel filters that plug quickly. Strong winds that shifted 180° graphically show how much swing room is required by a boat at anchor and is a good example that counting on the winds staying in a certain direction when anchoring is unwise. 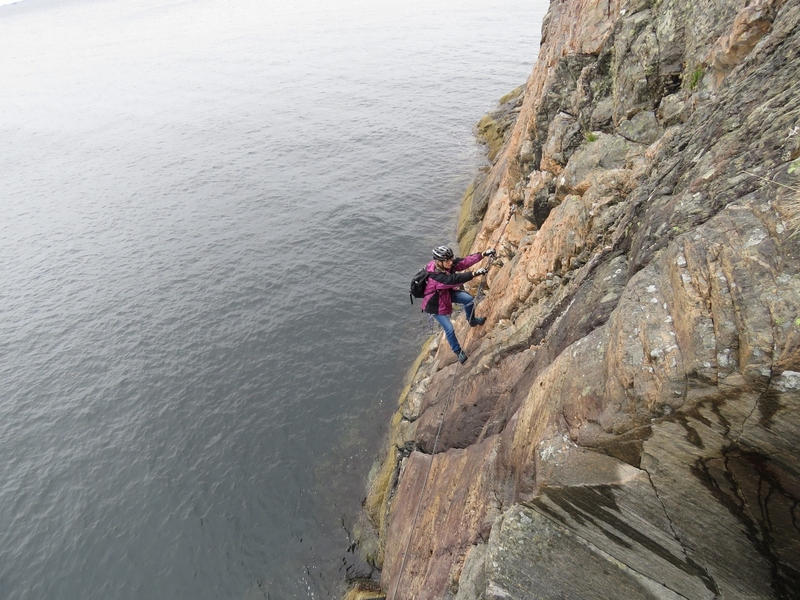 Here we’re on 74 yards of rode and are 114 yards from shore, leaving 40 yards, which most people would regard as ample clearance. 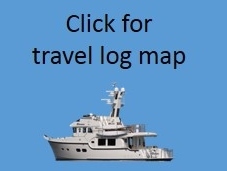 But the boat length consumes half of that 40 yards. 20 yards is plenty, but its about as close as we choose to get. And 20 yards from shore when the winds are blowing 40kts feels very close indeed.